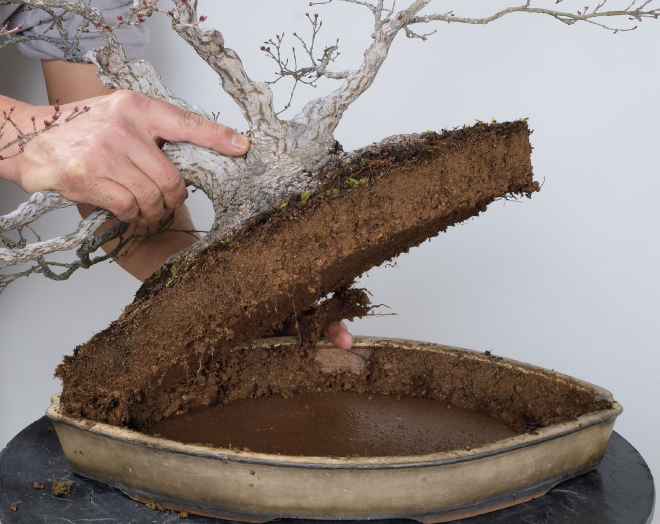 Discerning the tree’s condition is an essential factor in nurturing bonsai into a beautiful shape. 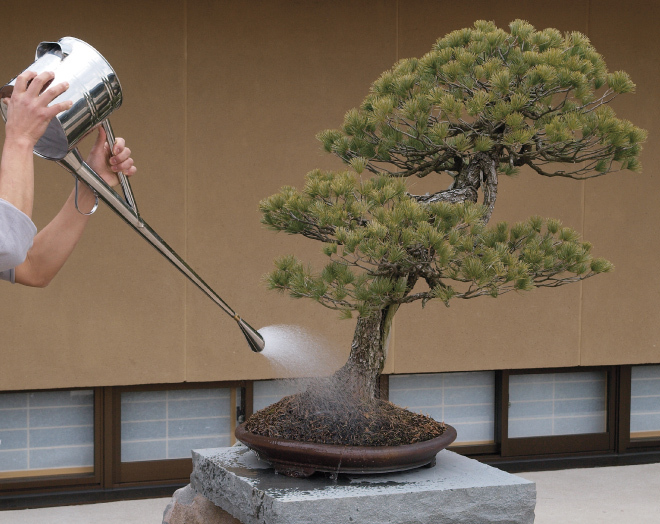 The beauty of bonsai is created through the conversation between the art of the grower and the life of the tree. Of primary importance in nurturing trees, is the daily work of watering the dry soil. A healthy tree absorbs the water well; however, watering a weakened tree too frequently could possibly accelerate root rot. The grower needs to ensure the roots’ condition and water correctly by checking the dryness of the soil on a daily basis. 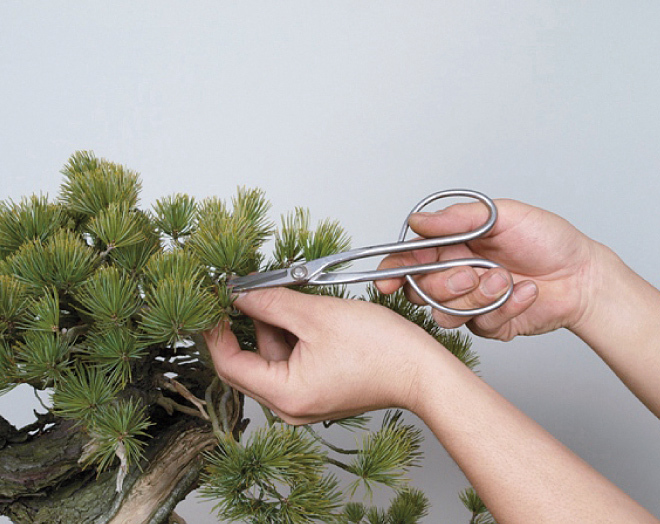 A bonsai’s form is created by pruning the unnecessary and overgrown branches to shape the tree. However, a grower must keep in mind that the pruned branches can never be restored, and therefore should always imagine the shape desired after pruning, and carefully select the branches before cutting. 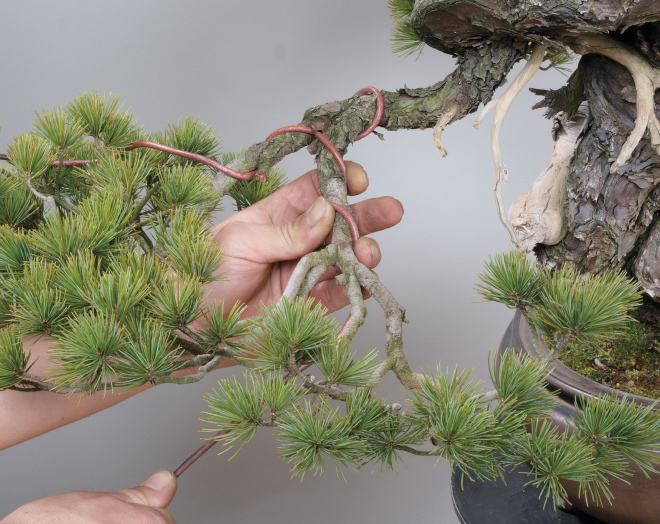 Wiring is applied to create the desired form of the branches. It takes a highly skilled artisan to time the wiring of small branches and to wrap the tree without harming it. The overgrown roots can become congested, and old soil can block the air circulation in the pot. To avoid these problems, Bonsai need to be removed from the pot periodically, the roots pruned, and then replanted in fresh soil. The frequency of repotting varies depending on the species.